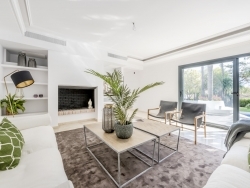 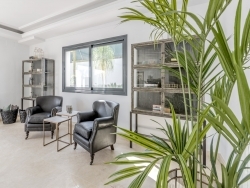 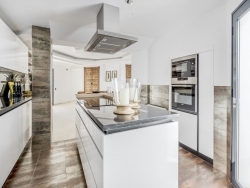 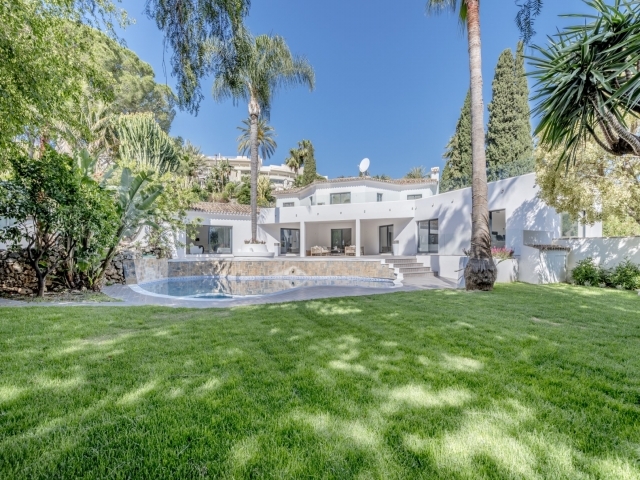 Stunning contemporary style villa in Nueva Andalucia with private garden and swimming pool. 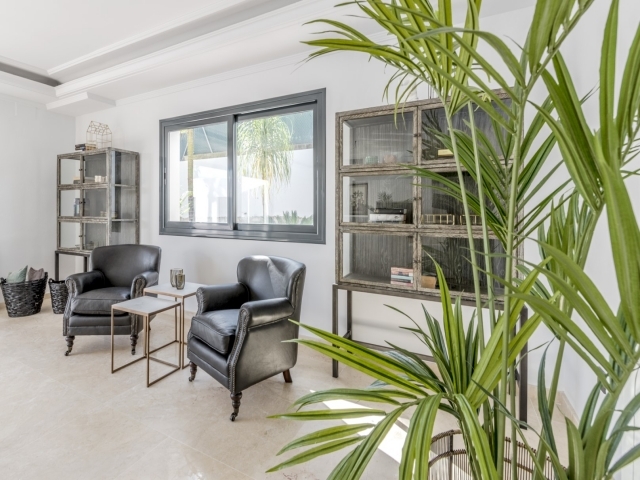 Having recently undergone extensive refurbishment, finished with exquisite style, the villa offers spacious and versatile accommodation over three floors. 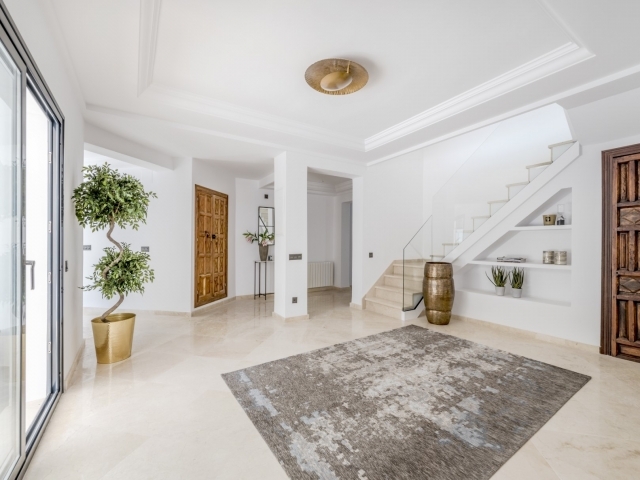 The entrance level forms a half-circle comprising of an impressive hallway, open-plan kitchen with central island and dining area, a large living room, double bedroom with en-suite bathroom and a master bedroom with en-suite and walk-in wardrobe. 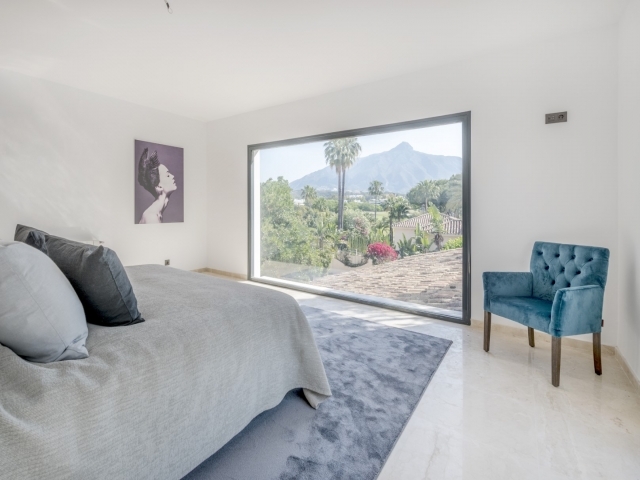 The master bedroom provides fantastic views of La Concha mountain and direct access out to the terrace and garden. 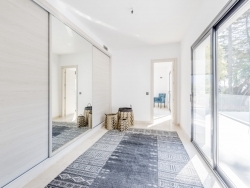 At first floor level there are two further double bedrooms, each with an en-suite bathroom and access out to a lovely terrace, with an office/library in between the two bedrooms. 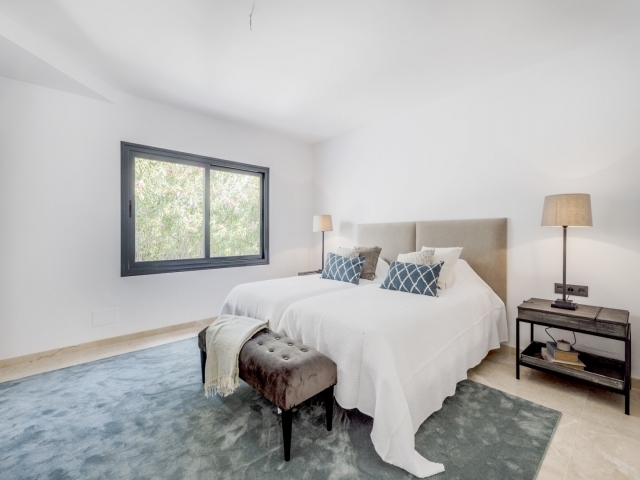 The basement level contains an independent apartment and laundry area. 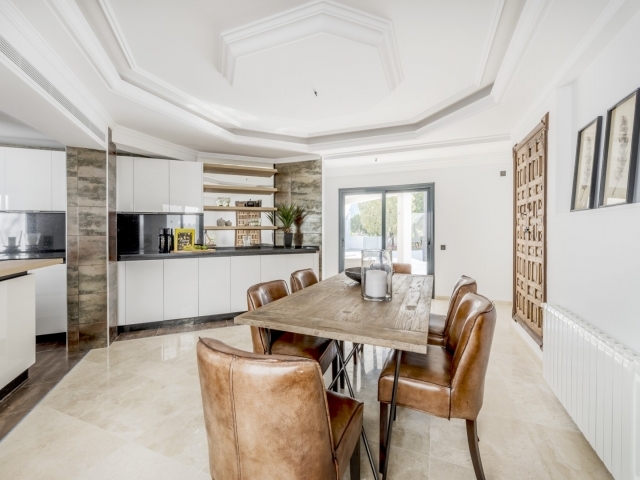 There is also a garage for two cars. 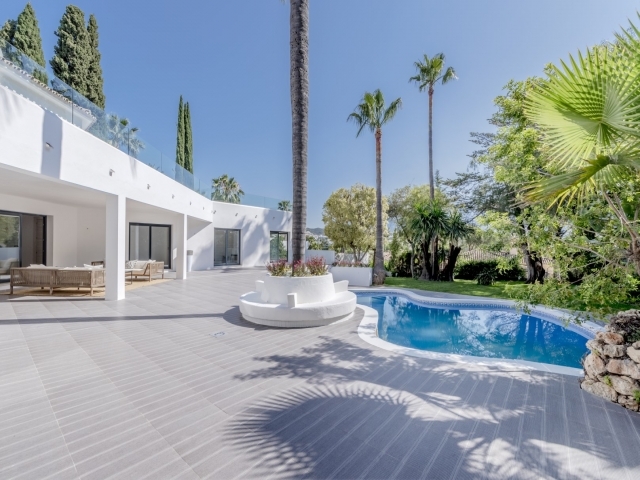 Externally there are various terraces overlooking the swimming pool and garden which together provide the perfect setting for luxury outdoor living and entertaining. 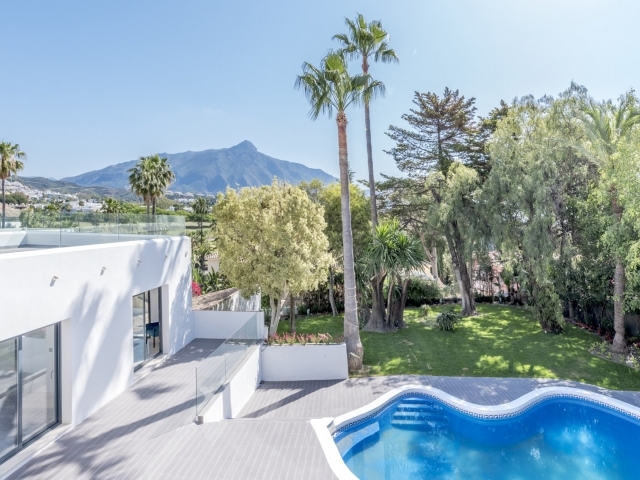 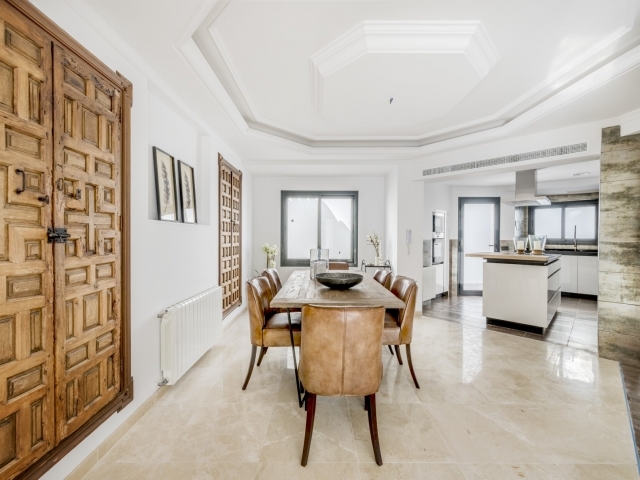 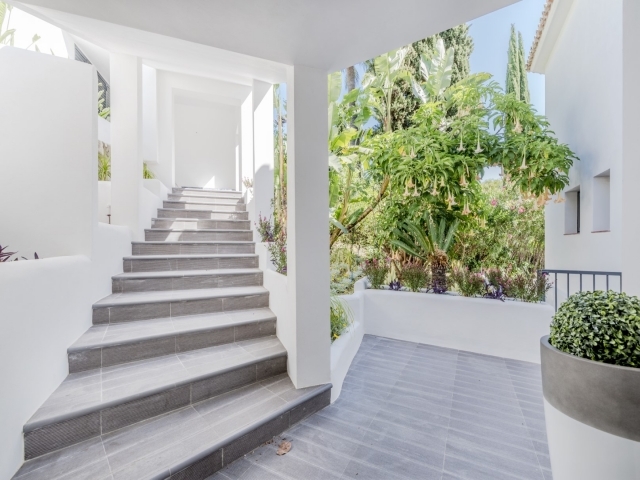 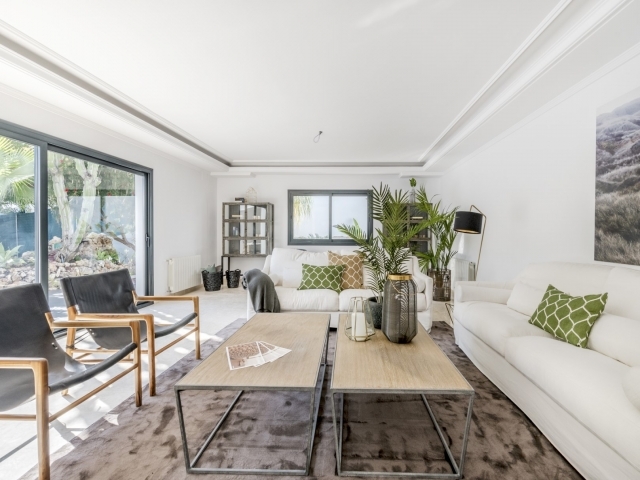 Nueva Andalucia is one of the most sought-after locations on the Costa del Sol, conveniently situated between Marbella and San Pedro and just a short drive to Puerto Banus harbour and a superb selection of renowned golf courses. 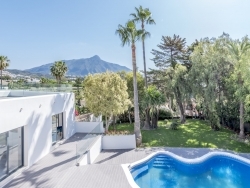 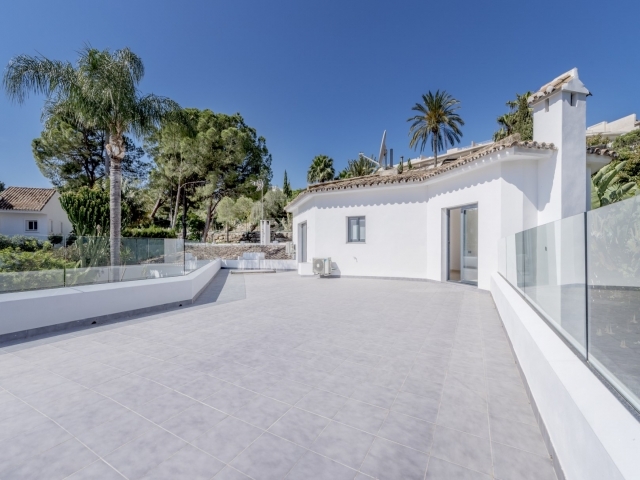 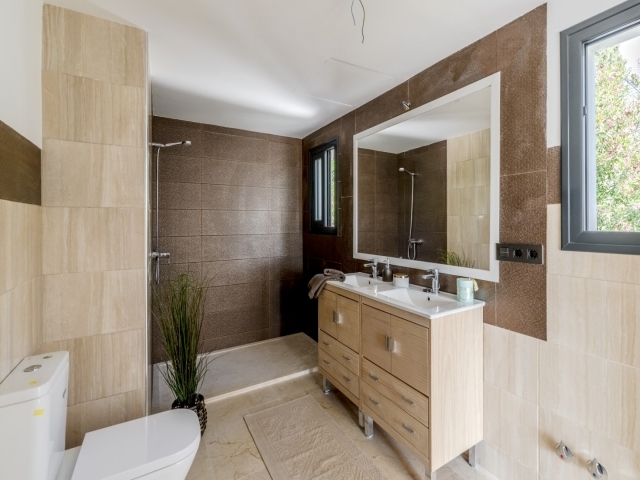 Offering undeniable rental potential, as well the ideal family home environment, this is an excellent opportunity to acquire a high quality modern villa in an extremely desirable location.